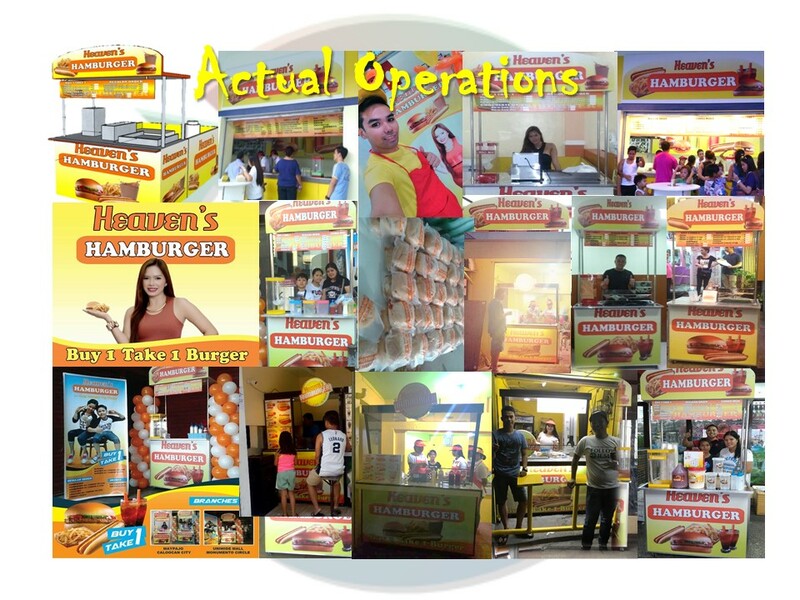 Because of this, the concept of the buy 1 take 1 burger made its way in the franchise world as one of the booming products. 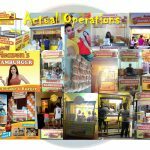 This just shows that this easy to prepare snack is gaining market because of its affordability and it can even serve as a complete meal to a person who is always on the go. With the rise of this burger deal in the country today, it has already become a household name for snacks among people of all ages from all walks of life. 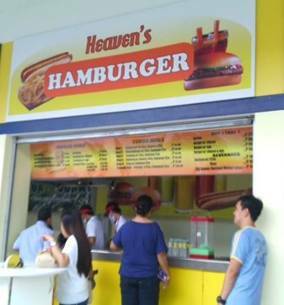 There is no doubt that investing in this franchise will surely be a success. 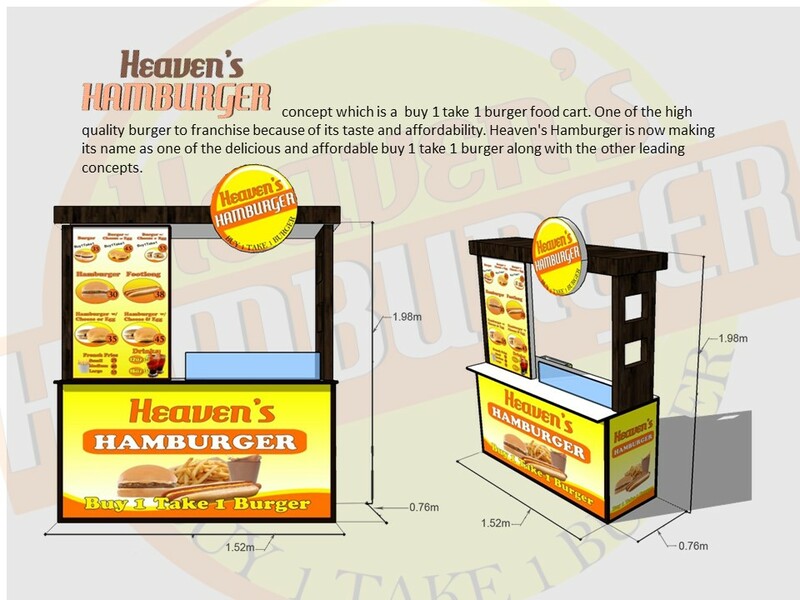 Bear in mind that the food business is one area that is promising in terms of profit and sales. Although in anything, this will not guarantee stability if you do your share in the game, it will definitely reap results. Be inspired by the people who thought about this business and make your own variation so it will be something personal and fulfilling to you. Now I am hungry. 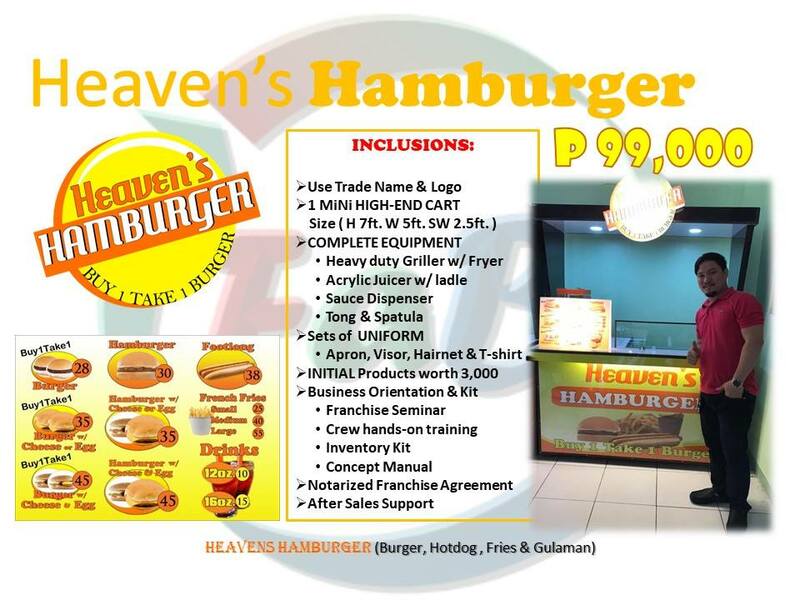 Heaven’s Hamburger is Our Buy 1 Take 1 Burger Franchise! The hamburger is a kind of sandwich that is made up of cooked beef patties that are placed inside two slices of roll or bun. This can be cooked in a lot of ways. 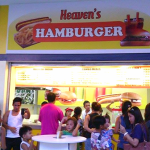 The popular one is by pan-frying and others are cooked through barbecuing or flame broiling. Whatever the way it is cooked, the quality of the meat or beef makes the sandwich much tastier. What to include in the sandwich varies from the simple beef patty to slices of cheese, a few lettuces, slices of onions and for a more flavorful treat, it can be served with mayo, coleslaw, ketchup and sometimes even mustard on it. This heavy snack treat is American in influence if you trace its history and this explains why it is so popular among Filipinos. 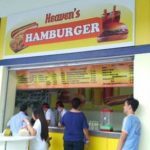 The widespread burger chains in the country are an indication that indeed Filipinos are relatively meat eaters and that hamburger is topping the list among the favourites.